Meals supplied to schools and care homes by Lancashire County Council have received the thumbs up for being full of fresh and healthy ingredients. 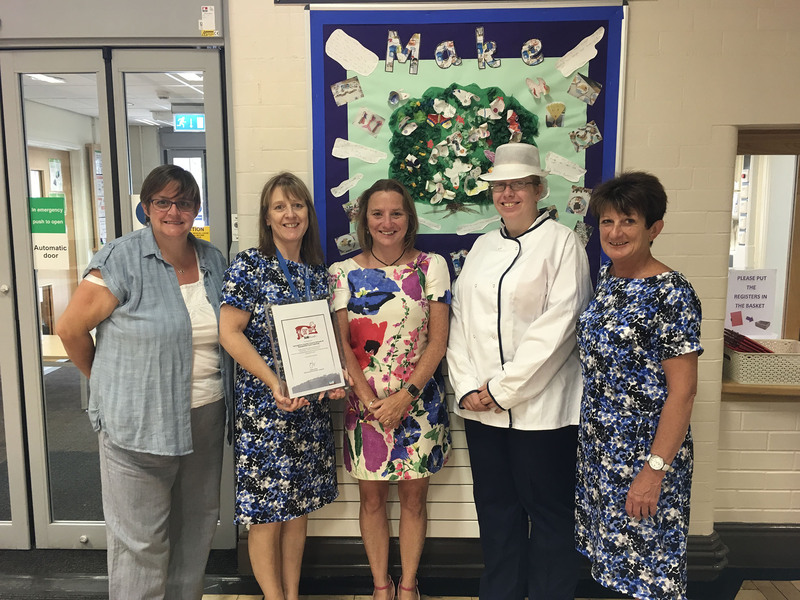 The School and Residential Care Catering group has once again been awarded the Soil Association’s prestigious Silver Food for Life Served Here award. The award is a commendation for the 50,000 meals served every day in 445 primary and secondary schools and in 17 care homes and five day centres across the county. Food for Life Served Here brings together all of the issues people care about – health, climate change and animal welfare. It recognises food providers who prepare meals using fresh, seasonal ingredients which are free from controversial e-numbers. The accreditation provides reassurance that the food served meets high standards of traceability, freshness and source. County Councillor Susie Charles, Lancashire County Council’s Cabinet Member for Children, Young People and Schools, said: “Once again, we are absolutely delighted to have achieved the Silver Food for Life Served Here award for our commitment to serving fresh and healthy meals made with local and organic ingredients. “We champion local food and suppliers including cheese from Longridge, and milk which is mainly sourced from the North West. Our free range eggs are from Bamber Bridge and the beef, poultry and seasonal fresh vegetables we use are from across Lancashire. I know that we are particularly proud of the relationship we have with our suppliers. “We use organic foodstuffs and we are currently using organic rice, pasta, flour and milk. We change what we offer on the menu so ingredients are always seasonal. “We hope our meals are enjoyed all the more knowing that we are doing our best to source ethical and environmentally friendly food, championing local producers and making it easy to eat healthily. All of this also means that we are helping to reduce food miles and our environmental footprint. Caron Longden, National Development Manager of the Soil Association, said: “We’re pleased to see Lancashire’s School and Residential Care Catering Group achieving the Silver Served Here award and gaining recognition for serving great fresh meals made with seasonal, local and organic ingredients. The Food for Life Served Here award is open to all food providers. The Bronze, Silver and Gold tiers recognise caterers who serve more locally produced, healthy and organic food. The Silver award for Lancashire County Council’s School and Residential Care Catering Group means that organic ingredients are used as well as a large selection of UK and local produce.